Congratulations to CBK Media Management Nick Filipowski on being nominated for two New York State Associated Press Awards. Nick’s story on Peter Rifenburg, a cancer survivor and visually impaired Orchard Park High School runner, is nominated in the Best Sports Feature category. The feature was shot by WIVB photographer Scott Swenson. Nick’s work on “Running With The Bulls” special was also nominated in the category of Best Sports Coverage. 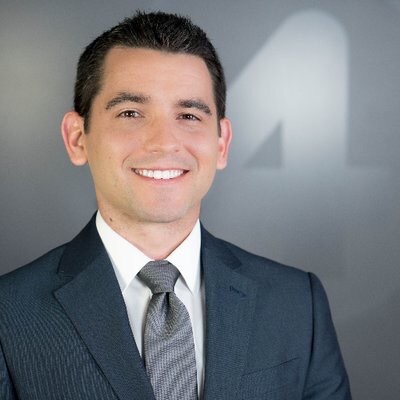 Nick has been a Sports Anchor/Reporter at WIVB (CBS) in Buffalo, NY since August 2017. Previously, Nick was a Sports Anchor/Reporter at WKBW (ABC) in Buffalo. Before he moved to Buffalo, Nick worked in Sioux City, Iowa and North Platte, NE. Nick’s resume includes two 1st Place Associated Press Best Sportscast Awards.